Most Landlord Law members are private landlords. 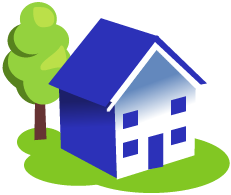 You can find out more about our services for Landlords >> here. We also have many members who are professional advisors or whose job involves advising landlords and property professionals - for example staff at Local Authorities and Student Accommodation Offices. Some mortgage advisors have also found Landlord Law useful. You can find out more about our services for Advisors >> here. Many lawyers find Landlord Law extremely useful for looking up tricky points, particularly if you are not a specialist housing lawyer. You can find out more about our service for lawyers >> here. If you are a business with several staff members who want to use Landlord Law, we do have two special services which may help you. Please see the separate section on this.